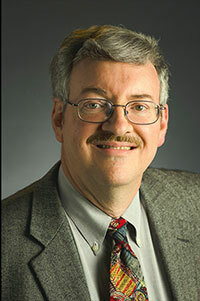 Dr. Morris Bullock, Director of the Center for Molecular Electrocatalysis, a DOE Energy Frontier Research Center, based at Pacific Northwest National Laboratory, was selected to receive the Royal Society of Chemistry's Homogeneous Catalysis Award. The organization presents the award every two years. Bullock was recognized for his "seminal work on transition metal hydrides, his pioneering use of inexpensive metals for homogeneous catalysis and the development of a new programme on molecular electrocatalysis." Catalysts speed up chemical reactions and are used to make a wide variety of industrial processes more efficient, including production of commercial chemical products, food processing, and energy production from alternate sources. Catalysts are used to improve fuel efficiency and reduce harmful emissions. Homogeneous catalysis focuses on using catalysts that are in the same liquid "phase" as the other substances. Transition metal hydride catalysts have metals bonded to hydrogen. Replacing precious metals such as platinum with less expensive catalysts such as iron and nickel can result in both cost-savings and decreased environmental impacts. Additionally, the Center for Molecular Electrocatalysis is focused on developing a comprehensive understanding of how chemical and electrical energy is stored and utilized for applications in the development of non-fossil fuel sources. As part of the award, Bullock has been invited to deliver a lecture at four universities within the United Kingdom between October 2013 and May 2014. The award, including a medal, certificate, and an honorarium, will be presented at a symposium associated with one of the lectures. Bullock joined PNNL in 2006 and has more than 110 publications overall during his career. He earned a bachelor's degree in chemistry in 1979 from the University of North Carolina at Chapel Hill and a doctorate in chemistry in 1983 from the University of Wisconsin-Madison. The Royal Society of Chemistry is the largest organization in Europe for advancing the chemical sciences and is supported by a worldwide network of members and an international publishing business. Their activities include education, conferences, science policy and the promotion of chemistry to the public.